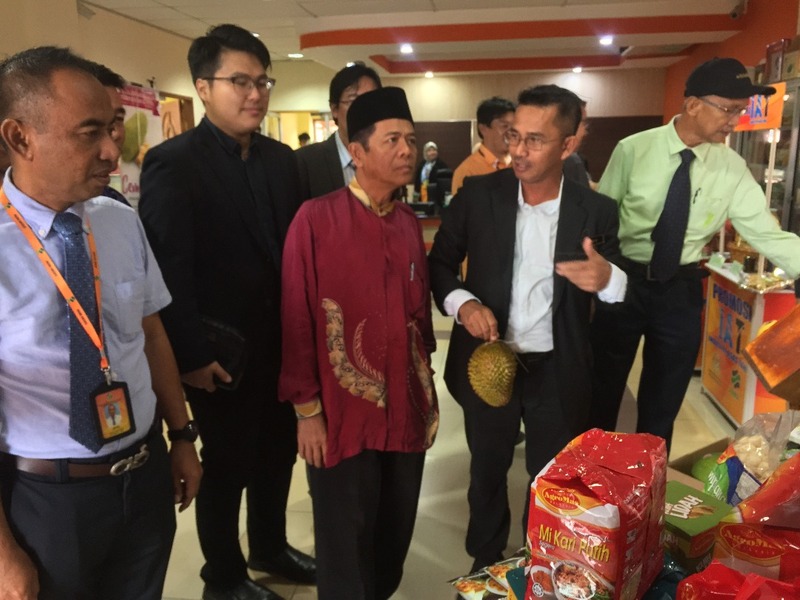 Fama Sabah director Ribin Wahid (second right) briefing Daud (middle) on some of the agriculture products available at the Fama Marketing Complex. SEPANGGAR: The Ministry of Agriculture and Food Industry, under the leadership of the new State Government may consider revamping some of its policies in its bid to encourage more young people to venture into the agriculture industry. Its Assistant Minister Dr Daud Yusof said most of the farmers in the state are aged between 50 to 60-years-old and that some of them are retirees who have just started getting into the agriculture business. “I would like to once again urge all farmers to encourage their children to venture into this (agriculture) field,” Daud told reporters when met during his ministry’s visit at the Federal Agriculture Marketing Authority’s (Fama) Marketing Complex on Thursday. He opined that the lack of young people in the agricultural industry could be attributed to the fact that the State Government would only usually give financial aid to farmers who possess their own land. “Most of our young people do not own land…so these are some of things that we need to think about. We (the Ministry of Agriculture and Food Industry) ask families to encourage their children to venture into this industry. If possible, we should change this current policy,” Daud said. He said that more discussions and research should be conducted to further study this proposal, adding that people from as young as SPM leavers should be exposed to this industry.